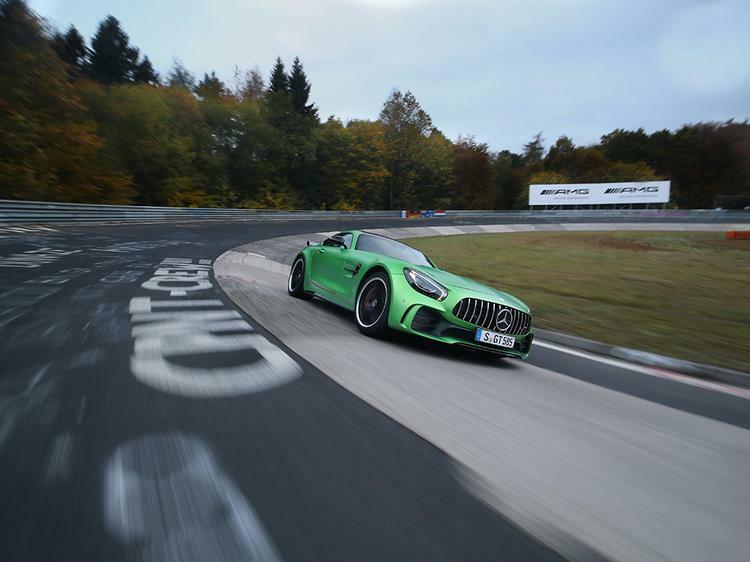 Home > News > German cars > AMG GT R at the Nurburgring: Time for Coffee? AMG GT R at the Nurburgring: Time for Coffee? Christian Gebhardt is a name you should know by now; he's sportauto's test driver, responsible for such lunacy as the 7:42 Cayman GT4 'ring lap and going round Hockenheim in a 3-Eleven quicker than a Porsche 918. Here he is again, making a car lap the Nordschleife faster than you ever thought possible. 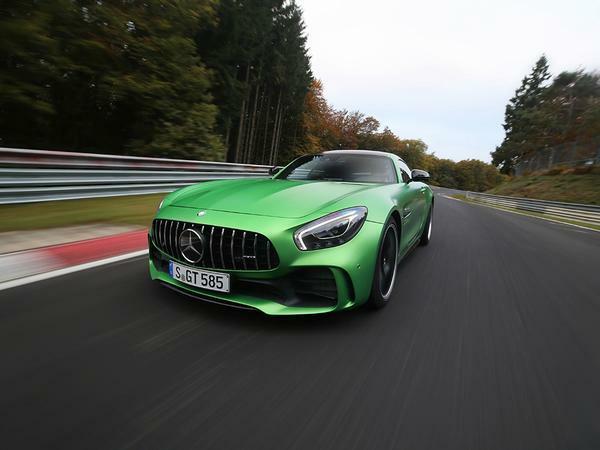 This time it's the AMG GT R, a car described by its makers as the 'Beast of the Green Hell' no less. And, well, it certainly lives up to the name! It laps in 7min 10.92sec, a ludicrous time for something with a kerbweight on the chubby side of 1,500kg, less than 600hp and two-wheel drive. For some context, the Ferrari 488 GTB with the same driver did 7:21.63. Wow. That sort of time puts the GT R up with some very serious cars indeed, including the NISMO version of its Nissan namesake (7min 8.68sec), and beyond even the Nurburgring package Lexus LFA, which did a 7:14 a few years back. March of progress, eh? What was the car that came past at 2:50 ish? That seemed to be nowhere in sight at the end, so its lap must have been a monster. It doesn't even look like hard work for him. That time is just bonkers, especially when it all looks so relatively subdued. This boy is a bit like Ronnie O'Sullivan. Only without the silly tweets. Just keep it out of the armco, Christian you nutter. Think it was an Aston that passed just before Breidscheid. VLN car? Looks like one of the SLS race cars... maybe a GT3.